After mourning the death of their Australian shepherd, Arrow, and with their youngest two children about to start college, it's time to add a new dog to the family. Or so Susan Morse thinks. Husband David is not so sure. He's especially not sure they want a rescue greyhound. 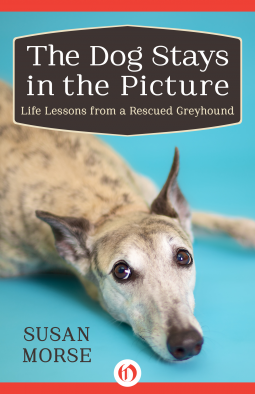 But since David had more or less sprung Arrow on her as a surprise, all those years ago, Susan figures it's her turn to choose, and she's become fascinated by greyhounds. Lilly is sweet, loving, intelligent, wary of men, suffering from separation anxiety... She's not going to be an easy dog, but Susan is in love. She sets to work helping Lilly adapt to her safe, comfortable new life, and to weave her into her and David's new life with the children out of the house, leaving Susan free to travel with him to his acting jobs on location. Then Susan gets ambushed by a health crisis threatening to upend all her plans and hopes. Hisdadukh, daughter of respected rabbi Rav Hisda in late third century Babylonia, is learned, beautiful, passionate, and an aspiring sorceress of great talent. A young widow who has had to give her son over to his father's family to raise, she leaves her home in Sura to apprentice with Em the Healer in Pumbedita. In Em's house, she is living under the same roof with another rabbi, Rava, a firend and rival of her late husband, and a man with whom she shares both deep attraction, and shared conflicts and misunderstandings. This is the starting point from which Hisdadukh and Rava spend the next six decades learning, loving, and growing together, as she becomes mistress of a now-lost tradition of Jewish women's magic, and he studies the Torah, priestly magic, and the secret Torah, and becomes a leading light in the growing tradition of the Talmud and rabbinic law. Set in Babylonia, a.k.a. Persia, or the country we now call Iran, it's a different look at the third and fourth centuries than most of us have learned, east and south of the Roman Empire, in a culture where the dominant religion is neither the Roman or Greek gods, nor Christianity, but Zorastrianism. Zeppelins. A steam-powered cyborg. Mad Max-style savages. Angels! And a city on a spire of--something--rising into the sky, on a cooling Earth. Overlaying everything are the zones, little understood but very carefully mapped, because what technology works depends on what zone you are in. Highest up on the spire of Spearpoint are the Celestial Levels, where the angels dwell, modified humans who can fly and who are heavily loaded with nanotech inside them. Because the nanotech won't work at any lower level, angels can't leave the Celestial Levels. At the bottom is Horse Town, where the tech is about the level of the American Wild West. Quillon lives in Neon Heights, just below Circuit City and just above Steamville. He's the last survivor of an infiltration mission from Celestial Heights, his wings and nanotech removed, under a false identity, working as a pathologist. Until a barely-alive angel fallen from the Heights is brought to him, with the message that the faction that sent Quillon to Neon Heights now wants him and the knowledge hidden in his head back--and they don't need him to be alive to get what they need. Quillon has to run, out of Spearpoint altogether, and right now. He turns to Fray, who might be considered a local fixer, and one of the few friends Quillon has made. Fray quickly plans his escape, with a guide, Meroka, foul-mouthed, impatient, but very, very capable. Oh, and she hates angels, for reasons buried in her past, so it's just as well that Fray doesn't tell her Quillon is an angel in disguise. Along the way to getting shanghaied into the dirigible fleet called Swarm, they meet the steam-powered cyborg, ruthless, drug-addicted savages, a woman who might be a techtomancer and her five-year-old daughter, and the "vorgs," really nasty cyborgs who survive in part by harvesting human organs. Especially brains. And in the midst of all this, there's a major zone shift, the result of which is really exciting for everyone who isn't killed by it. I really enjoyed this one. 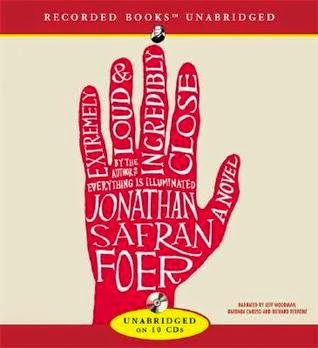 The characters are multi-leveled and compelling, and everyone you care about has a fundamental decency, albeit sometimes very deeply buried and expressed in quixotic ways. The pacing is great, and the world is a fascinating one. 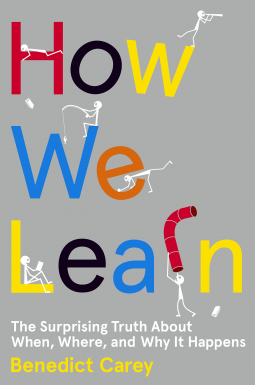 In this book, Benedict Carey (no relation, as far as I know) takes a look at our surprisingly haphazard and incomplete understanding of how we learn. We think we know how to learn. Be organized, be disciplined, focus, concentrate, keep plugging away. Do your reading and studying for academic subjects, and practice, practice, practice for physical skills, be it playing basketball or playing piano. Yet we all know people who barely seem to study at all, who hardly seem organized about it, yet who ace their courses, or pick up new skills, apparently without breaking a sweat. What's going on? Detroit Police Detective Gabriela Versado goes to the scene where a murdered boy has been found, and walks into the most nightmarish case of her career. It's the body of an eleven-year-old boy, or at least the top half is. The bottom half is the back half of a fawn. They're quite effectively joined together by a means which isn't at first obvious to the police or to the medical examiner. 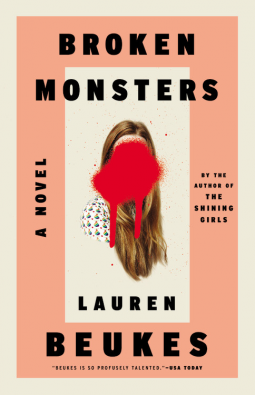 It's a potentially explosive case, and looks like it may be the start of a serial killer's spree, and they try very, very hard to keep the more outre aspects of it under wraps. James Howard "Billy" Williams, twenty-three years old and recently released from military service after World War I, traveled from England to Burma to take a job as a "forest man" for a British teak company. 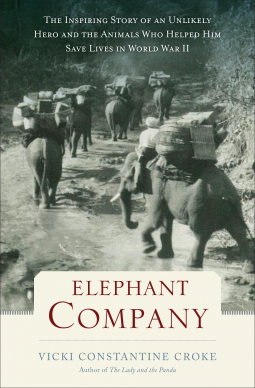 Besides the experience and discipline of his war service, that main thing he brought to the job was his gift for understanding and handling animals--an important asset in an industry that depended on the labor of elephants to haul heavy logs, build bridges, and transport supplies and people. He expected to enjoy working with the elephants; in fact, he fell in love with them. Over the next twenty years, Williams made himself a first class expert on elephants, their handling, their care, their medical treatment. 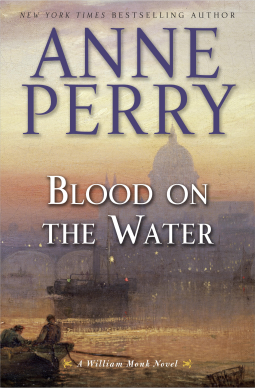 William Monk is out on the Thames River with one of his men, Orme, when they witness the shocking explosion and sinking of the pleasure cruise ship Princess Mary. Almost two hundred people die, and this was no accident. The explosion happened in the bow of the ship, not the boiler room. Monk has his River Police already investigating the crime when, the next morning, the commissioner of the Metropolitan Police, arrives to explain, in some embarrassment, that the case has been taken from the Thames River Police and given to him. Monk and his men may be frustrated by how the Metropolitan Police, who don't know the river and its people, are running the investigation, but there's nothing they can do. A suspect, an Egyptian man name Habib Beshara, is arrested, tried, and convicted. And then Monk discovers in the course of another investigation a critical piece of information that reveals that a critical eyewitness in the Beshara case can't have been where he said he was. He realize that not only is the guilty verdict against Beshara very weak, but the investigation was sloppy in ways that can't be entirely explained by the Metropolitans not knowing the river well. And that's when things get very, very dangerous, for Monk, Hester, Oliver Rathbone, and their friends. This is another solid entry in the long-running William Monk series. All our old friends are back. Monk is comfortable and confident in his role as head of the Thames River Police, Hester in hers as head of her clinic, and they have a solid partnership that they've worked hard for over the course of the series. This is one of the added benefits of a good mystery series, the long-term character development. We see all our regulars struggling with the balance between the ideals they believe in, and the often much messier reality of human fallibility and corruption. Not the place to start, but well worth the read if you're a follower of the series. 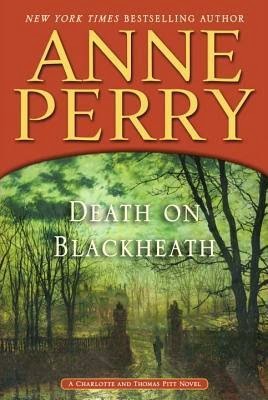 Thomas Pitt, now Commander of Special Branch, is called out to look into a matter that at first blush hardly seems like a Special Branch concern: the disappearance of a maid from a wealthy home on Shooters' Hill. The owner of the home, though, is Dudley Kynaston, a critically important naval weapons specialist. Britain can't afford any scandal around him. But it seems that Kitty Ryder has likely run off with her suitor, an itinerant carpenter, and there's little risk of scandal. Pitt is happy to turn the matter back to the local police. A few weeks later, a woman's mutilated body is found in a gravel pit not far from the Kynaston home. Although she can't be positively identified, she fits the general description of Kitty Ryder, the missing lady's maid. Now there's a dangerous hint of potential scandal. It gets worse when Somerset Carlisle, a sometime friend and ally of Pitt's, starts asking questions in Parliament about the matter, making sure it's a cause célèbre Special Branch--Thomas--can't ignore. In this latest Pitt adventure, Charlotte and her sister Emily aren't able to participate as they used to when Pitt was with the Metropolitan Police, but they don't want to be mere spectators, and Emily in particular is feeling bored, frustrated, and insecure. 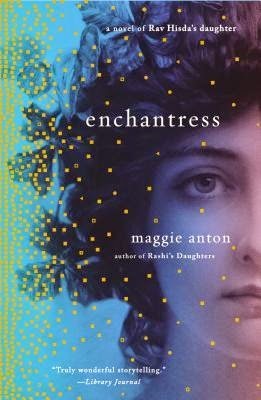 In counterpoint to Pitt's pursuit of a dangerous mystery that threatens national security, Charlotte, Emily, and Great-Aunt Vespasia grapple with what at first seem far more personal and private issues. Most of our old friends are here again, and after twenty-nine volumes, the characters and their relationships continue to grow deeper, richer, and more interesting. I honestly felt the series hit a rough patch and nearly collapsed when Pitt was first forced out of the regular police and transferred to Special Branch, and I thought it might peter out. Happily, it hasn't. 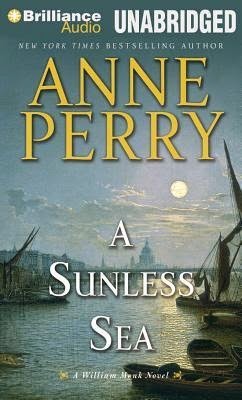 Perry and her characters found their footing again, and the series has remained a real pleasure. John Douglas Bassett, a.k.a. J.D. Bassett, started first a sawmill and then a furniture company with his brother, C.C. Bassett, in Virginia in 1902. 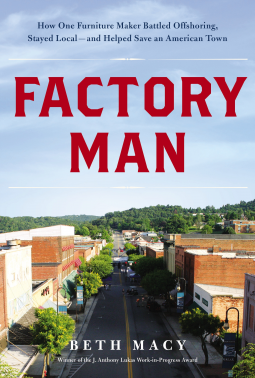 The unincorporated town of Bassett grew up around the factory. As the business and the family grew, J.D. assisted relatives and in-laws to start other furniture companies, and the region became a powerhouse in the American furniture industry. And then the 1980s and the beginnings of globalization and cheap Chinese import furniture arrived.